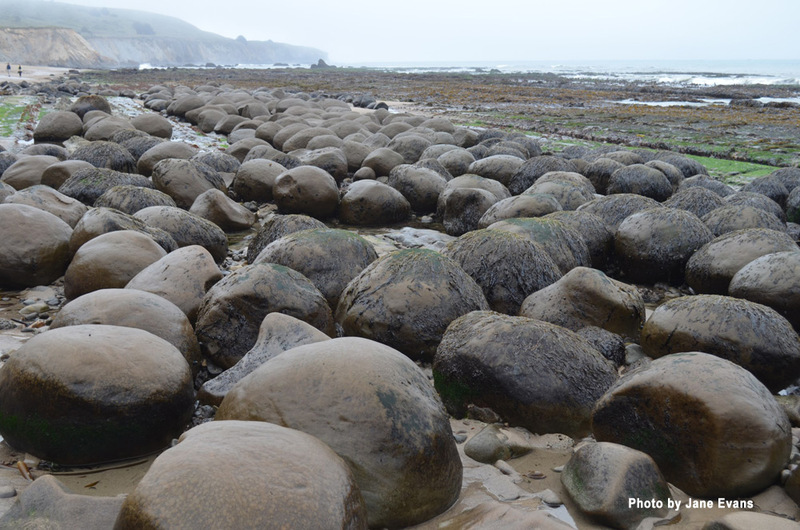 Concretions, unique geology are what makes Bowling Ball Beach in Point Arena so special. 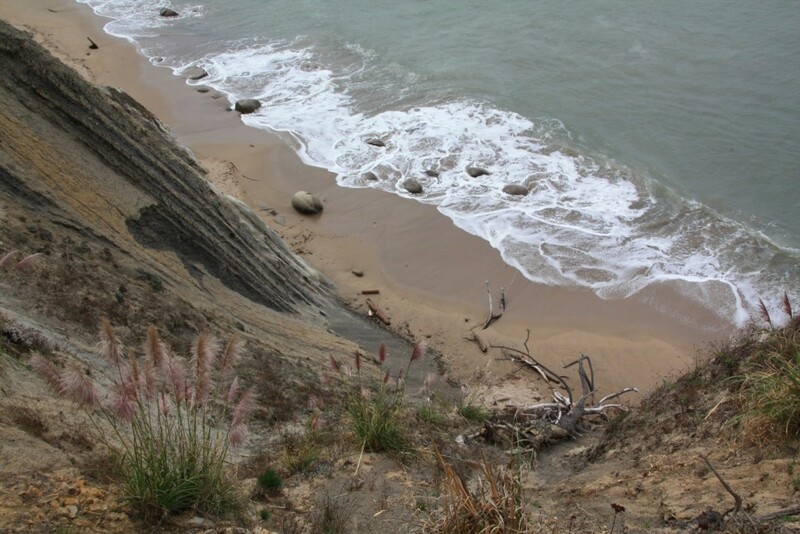 The trail to Bowling Ball Beach is at mile marker 11.41 about three miles South of Point Arena on Highway One. You will see a sign saying “Park facing South only” where you can safely park your car on the West side of the road. The Southern path leads to Schooner Gulch. The Northern path will take you across the bluffs and then down to Bowling Ball Beach. Do not try a U-turn here, blind curves for both directions of traffic make it a hazard. 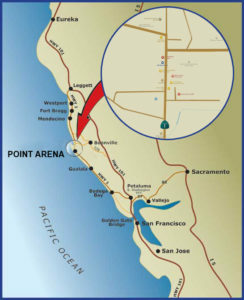 If you are heading North, park on the dirt road on the right side of the Highway(Schooner Gulch Road). 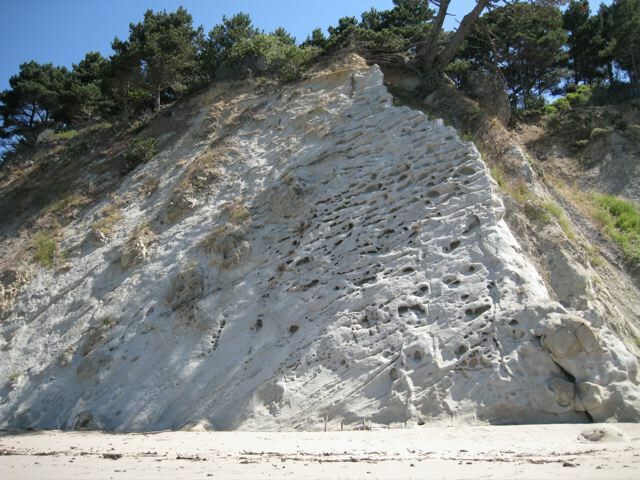 A short hike across the bluff top and a scramble down a dirt path will take you to Bowling Ball Beach. The trail and the stairs down the cliff have eroded considerably in the past few winters so be careful. 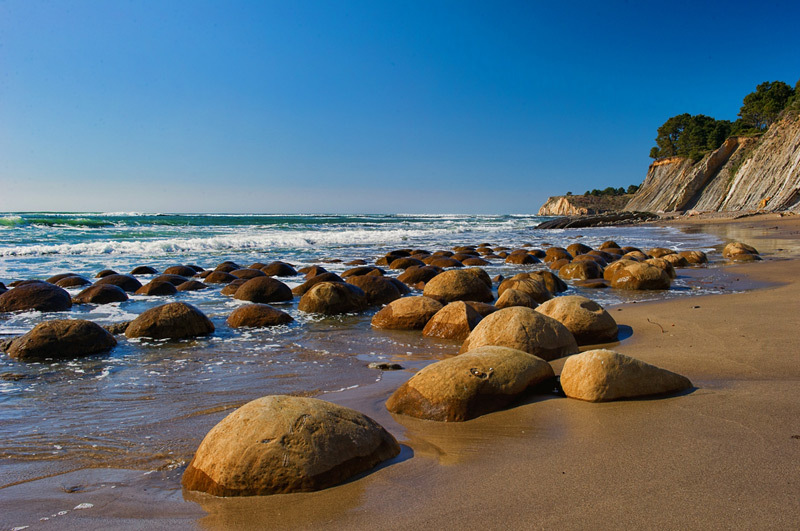 The unique stone orbs that give this beach its name are quite visible during low tide and are known to geologists as Concretions. Concretions are hard bodies that for a variety of reasons can form in sediment before they become sedimentary rocks. Also here at Bowling Ball Beach, one can see places in the sedimentary bluff where concretions emerge as the wall erodes.